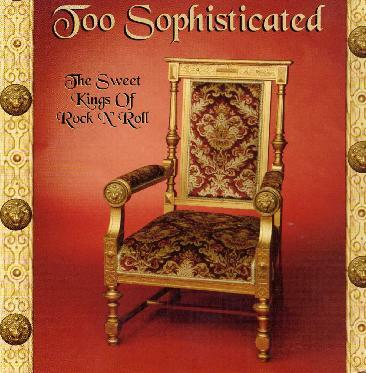 Too Sophisticated - "The Sweet Kings of Rock 'n' Roll"
Too Sophisticated are from Seinäjoki in Finland. This band's first release was a 7" in1995 and they apparently just keep rocking! This is a 5 song EP of down and dirty rock and roll with a bit of sleaze thrown in. On the opening track, I'm Loose, the singer sounds like a mix of Ray Davies and Johnny Rotten, with that snotty sound. I get the idea that this band is just a good time party band as the songs are not that great or interesting. It's only rock and roll and we like it, usually. For more information you can visit the Too Sophisticated web site at: http://www.saunalahti.fi/~araiski.